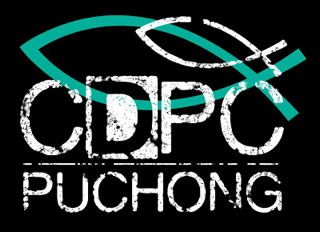 My family and I visited City Discipleship Presbyterian Church (CDPC) Puchong this morning. I had planned to pay a visit for some time now and we finally did. It is a very pleasant family church. We liked it that the kids join in the worship and later break off to their Sunday School classes before the sermon starts. We liked it that the service begins early at 9:30am. We liked it that we do not need to worry about the carpark and had some time to fellowship with one another after service. We liked it that the people there were so warm and inclusive. We liked it that it is so near our home. 2. If you don't remain in him, you will be cut, thrown away and burned. And if we do remain in him, there will be pruning and it may be painful. I love his usage of the illustration of Euthace in CS Lewis's The Voyage of the Dawntreader to explain the pruning process. Euthace was the most selfish of all boys and he had been converted into a dragon because of his disobedience. 3. We are commanded to love one another, and to be fruitful. And when we are fruitful, glory goes to God who is the gardener (v.1). 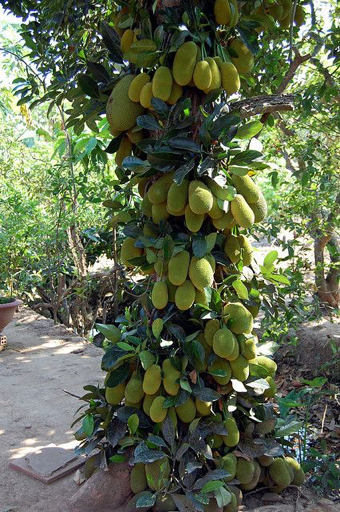 Pastor mentioned a jackfruit tree he once saw that had fruits on its entire trunk and said that is how we should be fruitful with the fruit of the Spirit (Gal 5:22-23). He said he was sorry that he did not take a picture but I suppose it should look like this. And this is how evident our bearing of fruit should be: our love, joy, peace, patience, kindness, goodness, faithfulness, gentleness and self-control. The lesson for us is how are we to fulfil Jesus commandment to love one another. I have been reading a book published by The Voice of the Martyrs on martyrs in this contemporary times. It was not at all an easy read. It was heart breaking and I had been thinking on what I should be doing. I am praying about it. We must indeed love one another.